No one gets anything accomplished alone. For instance, in sales you need prospects to say yes to your product before you get a commission. Leaders require followers to support their ideas. 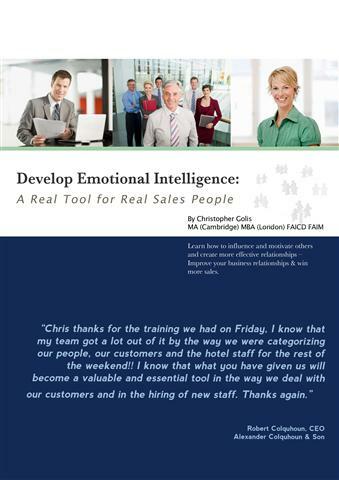 Technical training in sales, managing and leadership only goes so far. In many cases, success depends on the emotional reaction and the behaviour of others. Before you can really move people in the direction that you desire, you need to get their compliance, their commitment. You need to motivate them to do what you want them to do, but for their own reasons. In order to motivate and influence others you need to understand what drives peoples’ emotional behaviour, particularly their temperament, and then hone your communications accordingly. By tapping into these tendencies you become more interpersonally effective; thus increasing your ability to motivate, influence and drive others. Individuals who have the ability to read the style of individuals they communicate with are simply more effective than those who don’t. To do this, you require a core Emotional Intelligence (EQ) competency; empathy. Empathy is what allows you to identify and understand another’s state of mind, and understand what drives their behaviour. It allows you to create more cohesive relationships with others, and after all, business is relationship based. Anything that makes relationships more effective is certainly well worth cultivating. However whilst many organisations consider EQ and empathy as core competencies of high performers, the industry has so far lacked practical, scientifically based models of increasing your EQ. 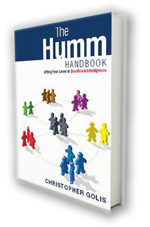 This model will allow you to identify within 60 seconds of meeting someone their core emotional drives by recognising behavioural cues such as the way the talk, dress and act. To download your copy now, fill out the form below.